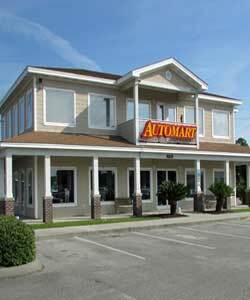 David and his team are extremely professional, prompt, courteous and careful. David made suggestions on colors, provided a timely and detailed estimate for the work and met all commitments on service and project start and end dates. 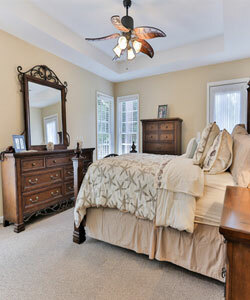 Dale and his team are top notch painting professionals, and completely trustworthy. We were out of town during the project and I had not a worry. During the time we were home for the project the team was considerate of us and very careful with our belongings. The entire team is concerned about 100% satisfaction from their clients and go above and beyond to ensure that is the case. Over the top customer service! I highly recommend them for any professional painting needs and will be hiring them again for another project. 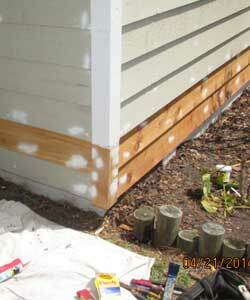 We used The Painter Guy to have the exterior of our home painted and really had a pleasant and uneventful experience. David and Dale were always easy to reach by phone or text, and were also very attentive to our requests. They kept the job site as tidy as possible, and they finished the project on time (which was impressive considering all the rain we've been having!) They also helped us coordinate projects with carpenters and gutter replacement group. All and all, a great experience. We would recommend them to anyone and plan on using them again in the future. Can't say enough good things about these guys. The owner David is way overqualified for home painting (he used to supply paint and materials to Ford, GM and Chrysler plants back in the day) and extremely thorough. He was giving me little tips and tricks for my own knowledge throughout the painting process, it didn't take long to realize how passionate he is about his work. David and Al's work is top notch as well as their attention to detail, they even reset our wall clock to the correct time before hanging it (it's not an easy clock to mount considering the weight and how high up it's mounted on the wall), which I didn't expect them to hang in the first place. I highly recommend them to anybody who needs any paint service, you will not be disappointed. My husband and I recently bought our first home. We have never hired painters before and did very little research when we chose someone. Unfortunately we decided to go with the lowest bidder, which was not the best decision we ever made... We ended up needing to hire another painter to do some repainting and drywall work for us. This time, we went with The Painter Guy. David and Al were so incredibly knowledgeable and made my husband and I feel super comfortable about the whole process. They always showed up on time (a few minutes early, actually!). They were so friendly and were such a delight to work with. They fixed everything we asked them to and more. We will definitely go to The Painter Guy first next time!!! This is a professionally run operation. We were moving from out of town and needed the entire house interior walls and ceilings to repaired and painted within a short period of time. The work to be done and pricing was explained in detail and presented in writing to prevent misunderstandings. It was promised and delivered. A great job, with frequent contact and photos of work in progress. A well run and experienced crew with a hands-on supervisor. Always able to communicate with the owner/operator of the business. My wife and I recently moved down from Maryland and needed our new house to be painted on the inside and out. After getting several quotes we went with The Painter Guy. David and Al have been the most professional painters we have ever used and have done a great job. They have consistently showed up on time and got the job done as promised. The level of detail and expertise is impressive, we were so pleased with the results that we are hiring them to complete the outside of our house. Highly recommend. The Painter Guy is a full service, professional, interior and exterior painting company, painting contractor, painter that serves Wilmington, NC and surrounding communities. Extraordinary quality, integrity and customer service have made "The Painter Guy" a local leader in the residential painting market. We deliver the very best value in interior and exterior painting, color consulting, cabinet painting, murals, wallpaper removal, popcorn ceiling removal, drywall repair, ceiling repair and wood replacement services. 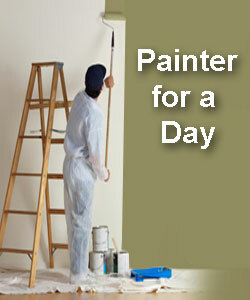 Let The Painter Guy and his skilled and experienced painters beautify your home. Here are 6 reasons our customers feel we are one of the best interior house painting companys in Wilmington, NC, and the best to paint your home's interior. Your home is your most important investment, trust the professionals at The Painter Guy to deliver the highest quality exterior painting services at a fair price. Let The Painter Guy's thoroughly trained and experienced drywall staff repair your drywall cracks, loose tape, holes, nail pops, quickly and affordably. 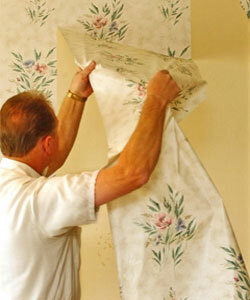 When its time to remove wallpaper, call the pros at the Painter Guy. Learn about our unique 3 stage wall paper removing process and read what our customers say. 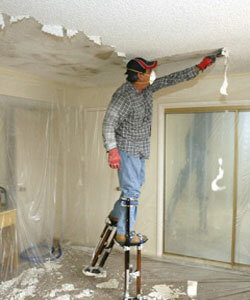 We do several popcorn - textured ceiling removal projects a year. Learn about the process we use and how it results in the highest customer satisfaction. If you have small paint projects such as wanting to have a room painted or perhaps you might need touch-up painting, consider hiring a Painter Guy for the day. The exterior of your business says a lot about your business. 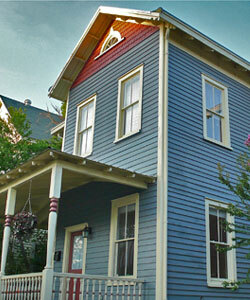 Trust the team at The Painter Guy to use the best crew, and processes to make your customers say WOW!